GUID is a 16 byte binary SQL Server data type that is globally unique across tables, databases, and servers. The term GUID stands for Globally Unique Identifier and it is used interchangeably with UNIQUEIDENTIFIER. I attended a TDWI conference in May 2016 in Chicago. 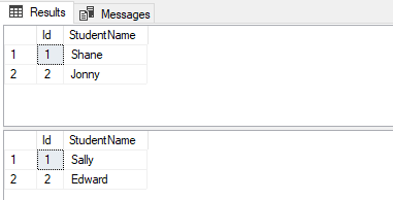 Here I got a hint about the datatype hierarchyid in SQL Server which could optimize and eliminate the good old parent/child hierarchy. In the article, Multiple Options to Transposing Rows into Columns, I covered various options available in SQL Server to rotating a given row into columns. One of the options included the use of a PIVOT relational operator. The mandatory requirement of the operator is that you must supply the aggregate function with only a numeric data type. Such a mandatory requirement is usually not an issue as most aggregations and subsequent pivoting is performed against fields of numeric data type. However, sometimes the nature of business reporting requests may be such that you are required to cater for pivoting against non-numeric data types. In this article we take a look at how you can deal with such requirements by introducing a workaround to pivoting on non-numeric fields.